I didn't have any time to grab breakfast before my 8.30am flight to Hong Kong. Though the meal served on the plane was not too bad, what I really craved when I touched down was to have a steaming hot bowl of Wonton Noodles (Chinese noodles with prawn & pork dumplings). IT brought me to the closest wanton noodles outlet, which she said was pretty good. 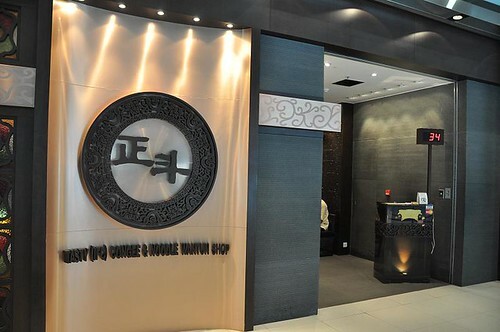 Tasty is a congee and noodle outlet located in International Finance Centre (IFC) above the Airport Express Hong Kong Station. I love the thin noodles in Hong Kong because they have a crunchy texture that is sadly absent in similar noodles (called Mee Kia) sold in Singapore. Like Japanese Ramen, the noodles should be eaten quickly and not left to soak in the steaming hot broth as the noodles will get overcooked and soggy. The wontons (aka wantons) were tasty and firm to the bite. This is a Must-Try! 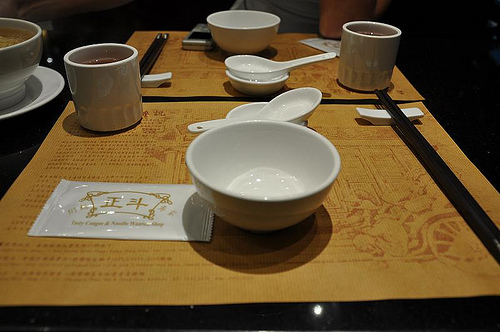 Finally, after having not visited Hong Kong for close to 2 years, I got my Hong Kong noodles fix. Comfort food after the flight and a pretty long wait at Immigration. In addition to my noodle cravings, I had a craving for steamed rice dumplings and steamed rice rolls. 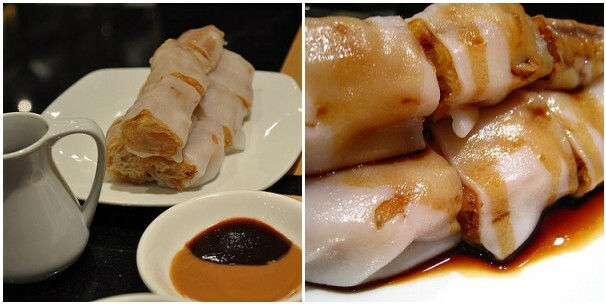 We ordered some Zha Leong (Chinese Dough Fritters aka Yew Char Kway wrapped with steamed rice sheets aka Cheong Fun). I generally love Dough Fritters aka Yew Char Kway (Chinese churros) and I also love the silky smooth texture of steamed rice sheets (Cheong Fun). The combination of the 2 is like a marriage made in Heaven. This dish has to be eaten shortly after serving as the dough fritters harden when cold and the rice sheets get too soggy when they have absorbed too much of the slightly sweet-tasting soy sauce that is poured over the rolls. The combination of the soft rice sheet skin giving way to a crisp and chewier centre was pleasurable. The accompanying sesame seed dip (essentially Tahini) added a creamy and nutty-tasting dimension to this dish. 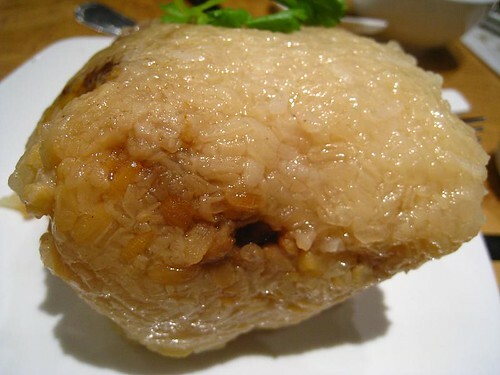 I love steamed savoury glutinous rice dumplings, especially the Cantonese variation (Gor Zeng Zong). These dumplings are stuffed with Salted Egg Yolks, Mung Bean Paste, Chestnuts, Stewed Chinese Mushrooms and Stewed Pork Chunks. The dumpling is chockful of tasty ingredients. Coupled with the plump, sticky glutinous rice grains that have absorbed the rich flavours of the stuffing, I was in Carb Heaven. :) This is a Must-Try! The entire meal cost us HKD139 (about SGD28), not the cheapest in town but a reasonable price for a trendy restaurant in a convenient location. Pre-ZoukOut Lunch @ Braise, 13 Dec 2008 - Foodies & Food Bloggers come on down!